Our home is a mix of licorice lovers and licorice "not so much, kind of, not really" likers so it was going to be an interesting exercise to see how loved or loathed the RJ&apos;s Salted Caramel Choc Twists went down. Master 7 and the husband love it and Master 9 and I will have a piece if it is available but not seek it out. One thing we do all love is chocolate and who can resist salted caramel! The ultimate test was going to see how loved, loathed, ate more or less on Friday night as an after dinner treat and a very long week. Master 7 asked how many pieces could he have before I even opened the packet, the answer was it depends on the size of the pieces. I was surprised to find the pieces a really good size and the bag was filled with a generous amount to make up the 280 grams - so there was more than enough to go around. The image on the front is almost exactly the same colour as the actual liquorice and a very good representation of what to expect in the bag. The price of $4.70 makes it an affordable treat to take along on a picnic or to have at home in the pantry for those unexpected guests or to serve as a sweet treat instead of dessert. The taste test, Master 7 and hubby like it, the texture was a little dry in comparison to other RJ Licorice products that we regularly purchase the flavour was sweet enough that 2 or 3 pieces was sufficient to satisfy their sweet, after dinner tooth. Master 9 and myself did not fall in love with the Salted Caramel Choc twists, I was expecting them to be really nice but found them sweet and missing the softness of other licorice products. The Salted Caramel Choc Twists were fresh, as they come in a sealed foil bag so the quality will always be consistent. On a whole, two liked it, two weren&apos;t so keen but it is still a product I would look to have on hand as those that do like will like it a lot. 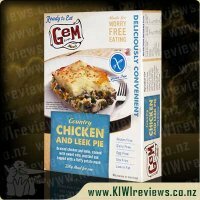 I love products that are NZ made and RJ&apos;s is proudly made in Levin, New Zealand. The ingredients are top quality and RJ&apos;s are always trying new flavours, products, ideas which I love. There will always be products that hit the mark and those that miss it a little. 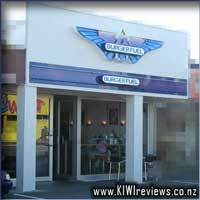 Overall a great NZ company, making great products and one that we support. I have to confess that liquorice is not one of my favourite flavours. However, my hubby really loves it and would choose it over most other flavours. But one thing that we both love is salted caramel - the ultimate sweet treat in my opinion. 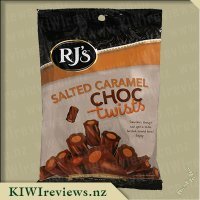 So when we spied these Salted Caramel Twists by RJ&apos;s on KIWIreviews, we knew that we had to try them. When we received the pack we were pleasantly surprised by the generosity of the pack size. There are more than enough to share, with each sweet being a good size as well. It would be a great bag to take to the cinema, on a car trip or around for one of those &apos;don&apos;t bring anything&apos; conundrums. In terms of taste, I am so very glad that we tried these sweets. They are like little mouthfuls of heaven, bliss in bite-sized form. They have a beautiful flavour of chocolate and salted caramel, neither overpowering the other, with the most subtle hint of liquorice in the background. Enough for this liquorice-phobe to like them, but enough for a liquorice-lover to know it is there. They are morish and very easy to eat. Both my hubby and I found ourselves taking one every time we passed the pack, even if we didn&apos;t intend to eat one. 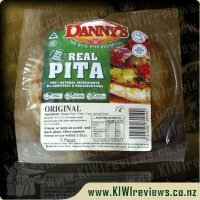 Despite this, the pack still lasted a couple of days, so great value for the $4.70 price tag. The texture was soft with a small bite, much like soft liquorice. Like other RJ&apos;s twist flavours, this did take a little getting used to (as it was somewhere between the normal soft and hard-boiled sweets), but once you are used to it they are utterly addictive. Overall, we loved these sweets. Delicious in flavour and very easy to eat, we were all disappointed when the bag was finished. 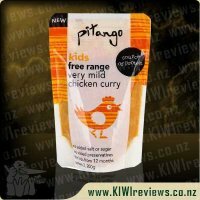 Great pack size and wide appeal make them perfect for so many occasions and great value. We will be regularly purchasing these as the perfect family sweet treat. RJ&apos;s has been a brand we have known and trusted in our family for many years infact it is not licorice unless it is RJ&apos;s several other brands have made their way home over the years but nothing in comparison to the taste and quality of RJ&apos;s. While for many years we only enjoyed the traditional licorice products in the recent years RJ&apos;s has started releasing new flavours and new confectionary products which has been pretty exciting. My children have loved the sour twisters recently released and were very keen to try a new licorice flavour again with these Salted Caramel Choc Twists while traditional licorice has that bitter taste these while maintaining the classic soft licorice texture and some taste comparison the licorice itself is a sweet caramel flavour which makes them almost too easy to eat, the packet did not last long at all in our household with 5 people all needing a sample. We all agreed they were very nice and very moreish! I personally prefer the traditional licorice with the salted caramel centre as I do like the bitterness of the black licorice however my children much prefer these sweet varities like this caramel and raspberry options. With quite a sweet licorice outer and a sweet choc inside they are more of a sweet treat. With so many new flavours in the RJ&apos;s range we are all finding it difficult to decide on a favourite so we just have to buy more!! If I visit Pak n Save supermarkets I will often buy the bags of RJ&apos;s off cuts these are such a bargain brice with the same great licorice that is just not pretty enough to go into the normal packets. My children and I discussed how good it would be if you get these with all the new varities like sour twisters, and caramel twists included in the all sorts mix too, that in my 6 year old sons words would be the best party mix lolly bag ever!! I have always been a fan of RJ&apos;s products - I haven&apos;t come across one I haven&apos;t liked yet! So when I saw these up for review I had to pop my request through. I was quite excited when my parcel arrived and I found these Salted Caramel Choc Twists in the box. As soon as I saw the packet I knew it was an RJ&apos;s product, and I would have been able to identify this even if the logo wasn&apos;t as easily visible as it is. The RJ&apos;s products are all very similar in the way they look, the colours just change to reflect the product inside. This does make it very easy to spot RJ&apos;s products on the shelf in the supermarket too - which I have done on a number of occasions! I can simply go along the aisle without having to look too close and be able to find where the RJ&apos;s products and select what I am after. The chocolate filled raspberry logs are a favourite of mine, and are a regular choice when looking for a sweet treat. It was going to be hard to beat these, but I was keen to see how these ones measured up. And dare I say it - I think I would now choose these salted caramel choc twists over the raspberry chocolate. They have such a nice rich caramel flavour, without seeming too sweet. The salted caramel part is quite a bit more subtle, which is fine by me as I don&apos;t really enjoy the flavour of salt so prefer salted caramel that isn&apos;t heavy on the salt. The caramel licorice is beautiful - they have nailed the caramel flavour completely, it tastes as if you are eating caramel and not licorice. The salted caramel chocolate centre adds a bit of crunch and a bit of creaminess, and when eaten together it is a match made in heaven! Thank you RJ&apos;s for creating such amazing products. I will definitely be adding more of these to my shopping trolley in the future! When I saw this in my small box of goodies, I couldn&apos;t wait to get into them and share with my three children. We&apos;ve all tried the licorice log version of this and thoroughly enjoyed it, so we were hopeful that these would be just as yummy, as the bonus with this size is they&apos;re a lot easier to share with the family than a log. My daughter must have read my thoughts as she bought over a pair of scissors with which to open this, otherwise, as she correctly guessed, the bag would be too hard to open unaided or without being able to tidily reseal it. Upon opening it, we all agreed that there was a hint of caramel to smell but nothing too strong, the pieces were all nice and firm and none were stuck together. I handed out some to my three kids and we all took a bite. My seven and nine year olds both loved the treat, gobbled down their piece and promptly asked for more. My eleven year old was a little more restrained and did want a second piece but when finished found that he had had enough sweetness for the time being. My mother had a piece and enjoyed it well enough, despite it not being her usual treat. I am quite happy to let my kids finish these off, I enjoyed the center of these which was the salted caramel chocolate but the outer layer I simply didn&apos;t like at all. A win for my kids but I will stick with the licorice logs. 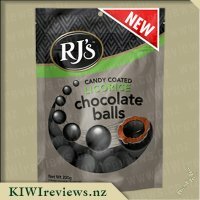 I have really enjoyed reviewing the RJ&apos;s products that I have received so far, so when these arrived as part of my review box, I had a certain expectation I suppose, and was excited to try these as I had not seen them before. 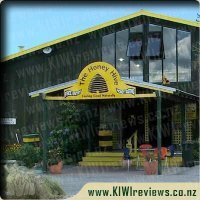 RJ&apos;s products are hand in hand with quality to me, and being a New Zealand made product makes that even better. The pairing of salted caramel chocolate and caramel flavoured licorice sounded like a caramel delight I needed to explore. Luckily the kids were all still at school, so I was able to try them myself without the 3 gannet children begging for a taste! The packet itself is simple and appealing with the distinctive silver black and white colours of the RJ&apos;s brand. Every packet also has a picture of what the product is - so you know exactly what you should expect when opening the bag. The nutritional information is on the back and well set out - showing ingredients and also allergen warnings - always good to be aware of. 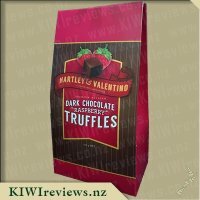 The packet is easy to open - and tears easily - but does pose a problem if you do not want to eat them all at once, that it is not resealable, which would be a great change to the packet. My advice is to cut the top off rather than tear it, so a simple peg can be popped on the top to keep the remainder fresh. Biting into the first twist I was pleased with the amount of chocolate in the middle - none of this stingey little bit - but a nice mouthful. The caramel licorice twist on the outside was soft, but not squishy and not too sweet - complementing the salted caramel flavour well. I did have a couple of twists to try them and did find after the third that the flavour became sweeter, and probably not something I could eat a lot of. I decided to try cutting these and adding them to the kids icecream, and they lend themselves to this very well - they are not mushy and do not fall apart when cut and when added to vanilla icecream the sweetness complements it. I think that they would be great in yoghurt or on the top of caramel muffins too! 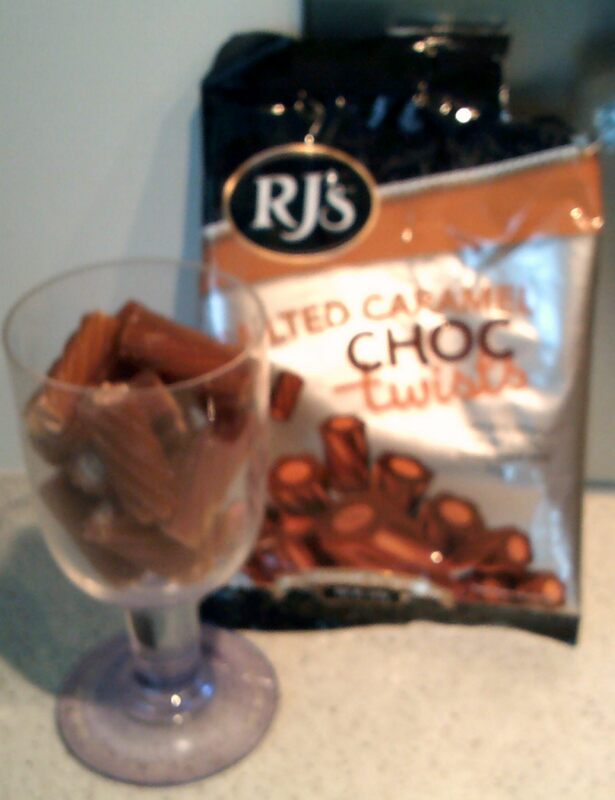 I would buy these again, however, I prefer the salted caramel logs that RJ&apos;s do - less of the sweet taste to overcome, and a much more manageable (willpower) portion size for me!! I was very disappointed to find I had to fight the bag to open it and there was no way to reseal it once it was opened. Maybe because some other items I had recently reviewed was so simple to open I expected the same from this product. No matter how much I pulled or strained I could not get it to budge, and it made no difference if I tried to go across ways or downwards. So, in the end had to find some scissors to use. But once I finally did manage to get the bag open I was welcomed with the sweetest caramel smell. I don&apos;t know why but I expected black chocolate but instead was welcomed with a brownie caramel licorice covered around brown chocolate which makes complete sense when you thing about it. It had the nice twist to it and they are a little over a bite size. When ever there is an opportunity to have Salted Caramel both the girls and my husband jump at the chance where as I am just getting used to the taste. I do not like it when it is too salted or too caramel I am right in the middle. I usually shy away from the flavour but I seem to get out voted more and more so I am adjusting my taste buds. The good thing about this flavour is I think the packet will last a while going by my personal preference alone I found them to be extremely sweet and not a flavour I could have all the time. Even the girls limited themselves to only two pieces and said they would have some more again later. My husband had to have a couple to see exactly how he felt and said he liked the caramel flavour but could not quite pick up the salt. I put into my trusty shelf in the fridge and to date I don&apos;t believe anyone has gone near them since. 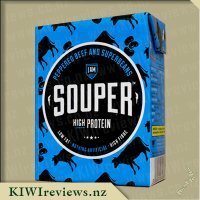 After thinking about it I think if the size was cut down to maybe a third they would be better digested as the size they are now it is just too over powering with the flavour. 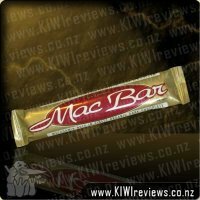 Its a shame as we really love the caramel coated log and I assumed it was going to be exactly like that. I think this is something that will be eaten once and a while but can&apos;t see myself buying another bag. I&apos;ve always associated licorice with the horrible black stuff so I was so happy when RJ&apos;s developed new flavours and combinations. I love Salted Caramel and Chocolate so for me, this was a match made in Heaven! Needless to say, when my girls saw the package they hassled me until I opened the packet. It is the usual foil bag with an accurate picture of the twists on the front. Both my girls loved them and were keen for another one although the pieces are quite large and I found it difficult to eat more than 3 in a setting. The Twists come in a large bag with 42 pieces in them and you could easily cut the pieces in half to make them go further. To say we loved them was an understatement! We loved the firm chocolate centre and the caramel licorice although there was only a faint salty taste. There were very sweet but delicious when you allowed them to melt on the tongue! I decided to get adventurous and sliced the twists thinly and added them to some cupcakes. I must admit, these were scrumptious and a big hit with the family. The twists added lovely chewy chocolate bits to the cupcakes that standard chocolate chips couldn&apos;t. Although they worked really well in the baking, I preferred them just the way they are! Another job well done by RJ&apos;s and a great price for a big bag of great tasting licorice! Salted caramel is certainly not a new idea, but its recent surge in popularity has certainly seen it being adapted into a number of food items that it has not been a part of before. The packaging comes in the usual foil pack that RJ&apos;s is known for. The pack is easy to open but isn&apos;t resealable, so you have the risk of ants getting in or the product going stale if you don&apos;t eat it quickly. 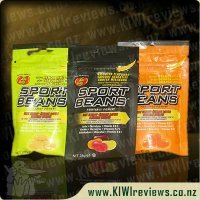 According to the front of the packet, the caramel flavour is present two-fold, with both caramel licorice and salted caramel chocolate. One would hope this means the product will have a strong flavour. Grabbing a couple of pieces from the bag, the licorice is firm so you don&apos;t have to worry about the pieces sticking together too much or getting stuck to the base of the packet. Having chocolate present in these products does mean the licorice pieces do end up looking a little dirty or dusty due to the chocolate coming into contact with the licorice. Upon inspection I was very impressed with the ratio of chocolate to licorice, with the chocolate taking up perhaps 75% of the volume of the product. While the licorice doesn&apos;t stick to itself all that much, it does merge with the chocolate quite well. I have a tendency when I eat products like this to eat the outside and inside pieces separately, and this proved difficult to do effectively. It&apos;s definitely been designed to be eaten together in one go. Despite the caramel flavour being present in both the chocolate and licorice, I found the flavour rather dull. Almost coming off like the flavour of a stale coffee that happens to be more sugary than bitter. The zing of the salt only hits you once when you first bite into the chocolate and the level of saltiness is inconsistent and does vary throughout the pieces in the pack. Overall the flavour is unbalanced. I&apos;m not a coffee drinker. 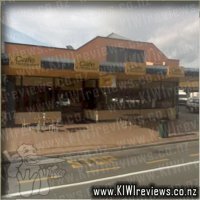 I find it far too bitter and unpleasant, but I have worked in a cafe for several years and am very familiar with the smells of stale coffee products. So for the caramel flavour to remind me of a diluted version of that bitterness, I don&apos;t find it appealing at all. Due to it&apos;s similar qualities in flavour to that of coffee, I imagine it would pair nicely with the caffeinated beverage. But this is not a product for me. I had three very willing testers waiting impatiently for me to open the bag - my daughter-in-law and the two teenagers, Miss 17 and Mr 15. Finally, daughter-in-law got so impatient that she grabbed the bag off me and opened it herself. Before I could ask her not to tear it too much as I wanted a review photo, she had ripped the corner off much more neatly than I could have done and handed it back to me. Miss 17 was off to referee netball shortly and had thought she would not get any, so she was thrilled she was able to take part too. Lollies are not something any of us eat every day; they are a special occasion treat to enjoy in company. I gave everyone two and took two myself, but not before I had sniffed the inside of the bag. Even this was enough to surround me with the unmistakable aroma of caramel - one of my favourite flavours. The lollies were quite firm when we first bit into them. I chewed my first then let the second melt at its own pace. I thoroughly enjoyed the second way of eating it because the different flavours separated out. First, you got the pure caramel taste of the outer section, the flavour enhanced by the salt. Then, as the outer melted away, the inner core of chocolate became evident. It held its cylindrical shape momentarily before it too collapsed and melted down. Delicious! My daughter-in-law enjoyed them but found she could not eat many as they are quite rich. She stopped after three while Miss 17 kept right on going. They were driving 200 km to the tournament, so I gave them another dozen to take in the car on the understanding that they would phone me as soon as they got there with an updated report on their reactions. Miss 17 was very pleased about that, needless to say. By the time I had finished my second, Mr 15 was on his fifth. We had waved goodbye to the others, so the rest of the packet was ours to share. I was impressed by just how many the pack contained; according to the information printed on the outside, there were approximately 42, but it seemed as if there were a lot more than that. 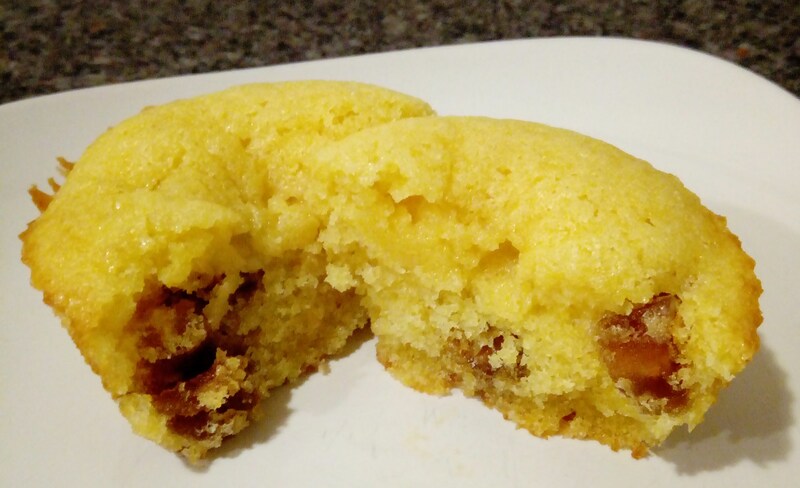 Like my daughter-in-law, I found them quite sweet, and after I had eaten a third, I decided I had had enough for the time being. Mr 15 had no such qualms; he would have eaten the rest of the packet in one go if I had not stopped him. After dinner, we got the packet out again. Mr 15 said his fingers still smelled of caramel, even though he had washed them, but he did not seem too unhappy about that. I had two; the rest disappeared gradually until all he had left was an empty packet and a big smile on his face. Later in the evening, we had a phone call from the other two. Miss 17 had happily eaten most of them. Her mother, like me, had not been able to manage more than a couple more. But they both enjoyed them and said they were a great way to eat chocolate when you are in the car as the mess is all inside the twisty bit. 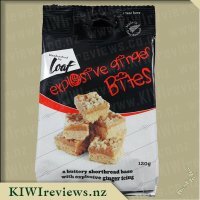 I think they are excellent value for money, given the number in the packet and the length of time it takes to eat them. None of us found anything negative to say apart from the richness which stopped the older ones from eating too many. They are made from natural ingredients and look beautiful when they are served up. We had put some into a fancy glass to serve them and agreed that it would be quite a nice centrepiece for a dessert table. Yes, we will be buying these again. I absolutely love RJ&apos;s products particularly all of their delicious fruity licorice treats. When I saw the Salted Caramel Choc Twists come up for review I must say I was a little curious as I would never have considered such a flavour combination to be turned into a tasty licorice flavour, I was skeptical and was tossing up whether or not to request these but I am so glad I did salted caramel is a flavour I have come to enjoy over the past few years when it became all the craze, and you can&apos;t go wrong with chocolate, and somehow RJ&apos;s got the combination of the 2 spot on to create the most delicious licorice treat! With a net weight of 280grams in the bag the amount of licorice twists is very generous, I counted 42 twists in my bag which equates to 7 servings of 6 pieces each, these days it&apos;s hard to find any product such as confectionery where the bag is actually full of the product rather than fresh air. The design of the packaging is attractive and eye-catching and I love the way that RJ&apos;s have used a combination of brown and golden tones to portray the colours of the product itself. 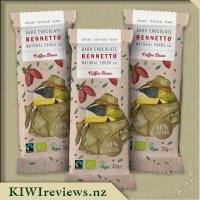 Buying this product means that you are supporting NZmade which is always something I like to do when possible, the map of New Zealand on the back is a cute design being made out of licorice twists. Next came the taste test I decided to pull these out today at lunch for our visitors to try and they were a hit. A delicious, soft and chewy licorice outer encasing a salted caramel chocolate centre, flavours which worked generously together. I must say that we all agreed that the licorice tasted of a creamy caramel with a hint of salt, however the chocolate taste didn&apos;t really come through on this occasion, even when I tried eating the 2 layers separately, Miss 5 and her friend (also 5) declared they were so good and were begging for more, the adults also loved them and said they tasted like a mix between toffee and caramel flavours without being over sweet. 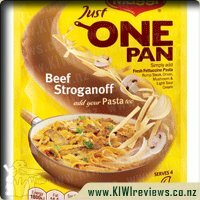 I had plans to try these out in some different dishes but decided against it as some things are just best left eaten as they are and I believe these are one of those things. I can&apos;t wait to buy these again soon as they are absolutely delicious.